SPGPrints won the JAVELIN® digital textile printer has won the European Digital Press Association (EDP) Award for “Best Textile Solution” in the Print and Finishing Category. The award was presented at a ceremony during the FESPA 2017 exhibition, held on 10th of May 2017 in Hamburg Germany. 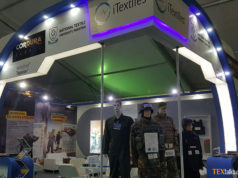 The Same award was won by the SPGPrints’ PIKE® digital textile printer last year. 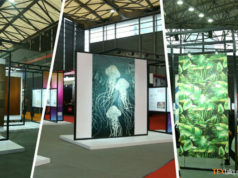 After the launch of the JAVELIN digital textile printer at ITM 2016, the machine is now installed at different parts of the world. The entries were judged by the EDP technical committee that comprised Herman Hartman editor, signPro; Rob Haak. President, SPIKIX; Klaus-Peter Nicolay, editor, Druckmarkt, and Igor Terentyev, editor, publish. 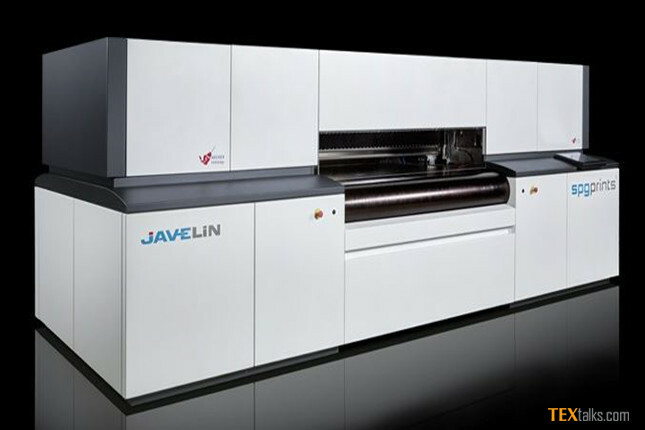 The JAVELIN uses 36 Fujifilm Dimatix Samba print heads and SPGPrints’ unique Archer® technology to produce variable drops for optimal control of detail and saturation. The printer is said to offer flexibility in configuration for use with acid, reactive and disperse PIKE Inks from SPGPrints. It is capable of printing up to 2 million linear meters annually on a broad range of substrates that makes it an ideal solution for the digital print manufacturers. While receiving the award Jos Notermans, commercial manager Digital Textiles at SPGPrints said that “The recognition of the JAVELIN printer’s capabilities, productivity, and place in the global textile printing industry is extremely gratifying. It demonstrates the power of the Archer® technology that means printers can use the JAVELIN with a wide range of substrates and achieve high levels of print quality.